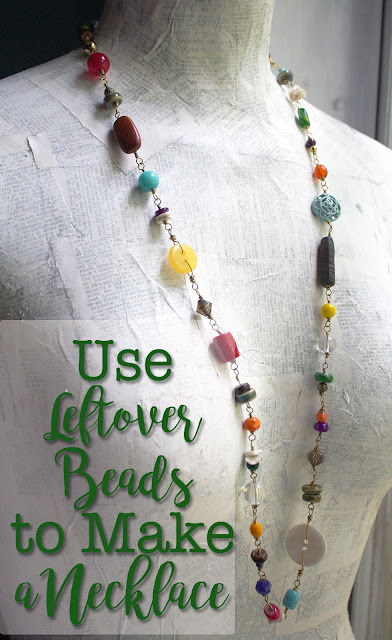 The other day, I saw on Artisan Whimsy that there is a "Bead Lover's Valentine Challenge". The theme is PASSION and LOVE. I knew immediately that my Passion Bracelet was perfect for an entry into this challenge. 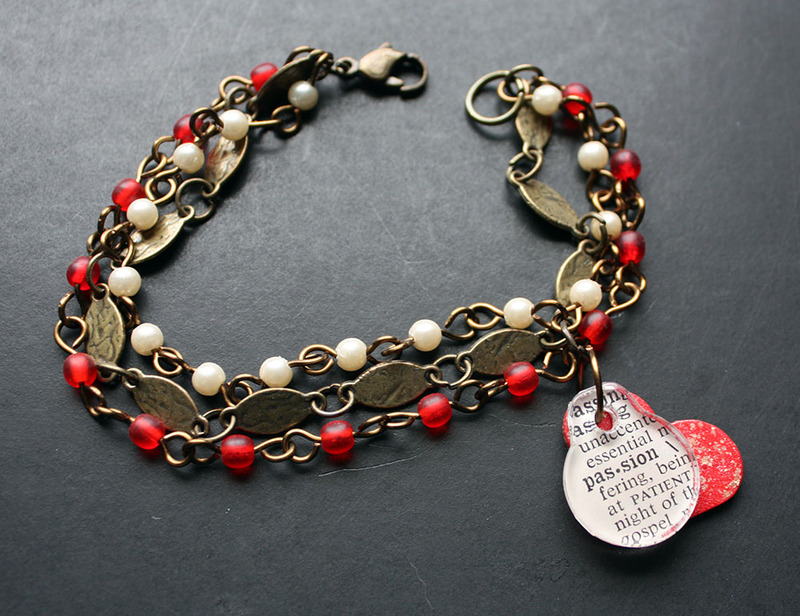 I made this bracelet sometime last year, and am still pretty smitten with it. The passion charm is made from a Tim Holtz fragment and a vintage dictionary entry. The heart is a lightweight wood piece. 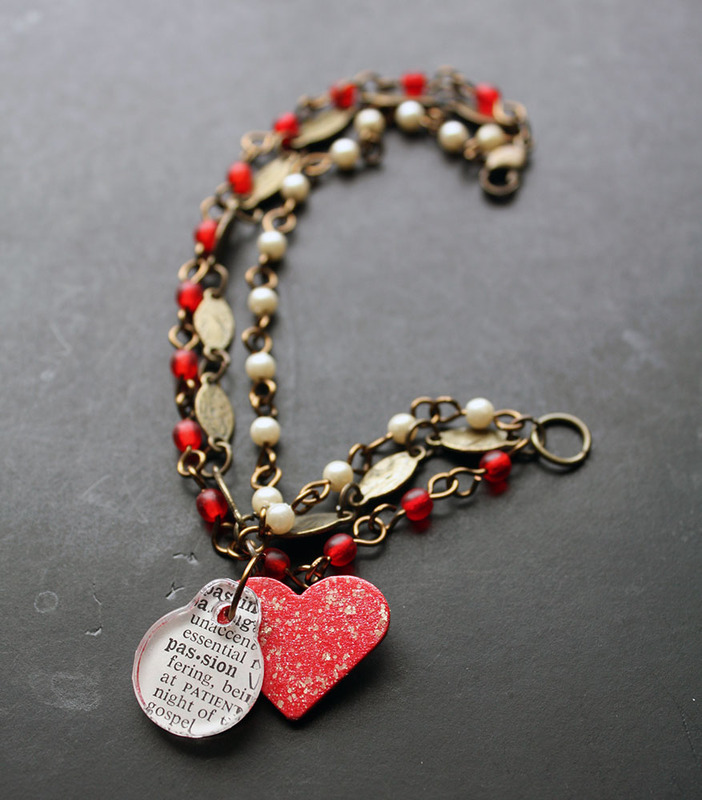 Both the charm's back and the entirety of the heart were painted red and coated with Antique Linen Distress Stickles. The chain of the bracelet consists of a rosary chain of red glass beads, a rosary chain of off-white plastic pearls, and a decorative brass chain. The wire used is Vintaj Brass-colored wire. The bracelet closes with a simple lobster clasp. 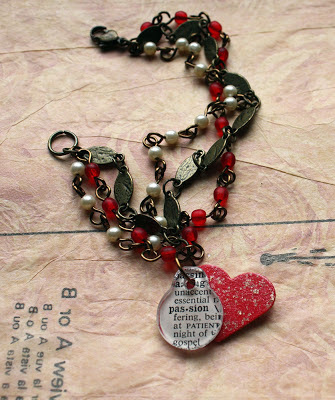 I think this bracelet just screams Valentine's Day. Don't you? 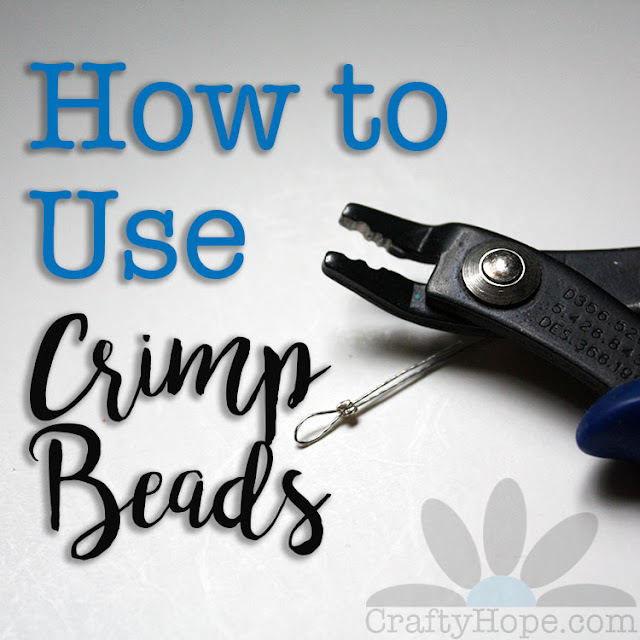 You can check out the other entries for the challenge at Artisan Whimsy and please join the community if you're not already a member! 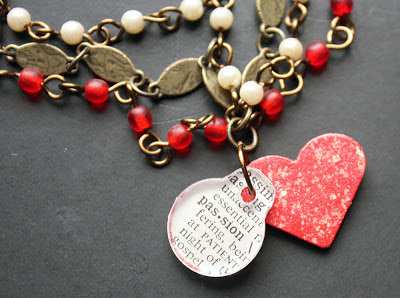 Oh, and this Passion bracelet is already in my Etsy shop if you're interested in some Valentine bling. What are you waiting for? Go check out the other entries! Everyone needs a little passion and love in their life. I agree with you that your bracelet says Valentine's Day in a big way. It's a great bracelet! Love it! 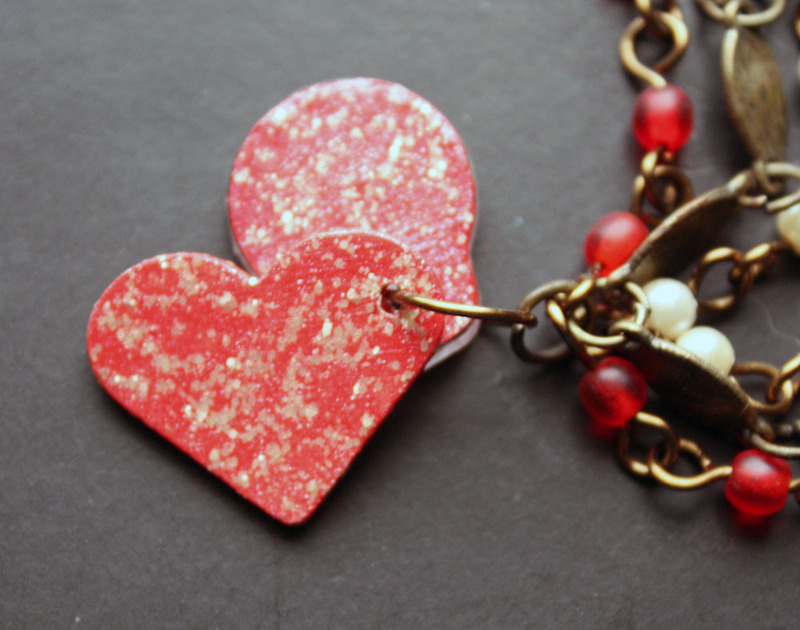 Beautiful and very Valentine inspired bracelet. Cynthia- Thank you! 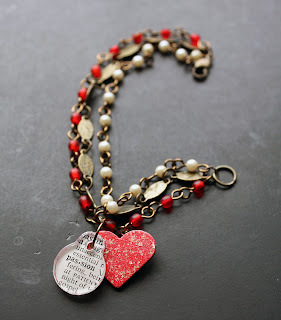 I've really been on a Tim Holtz kick here recently, but this was made about a year ago. . .so I guess I've been on a TH kick for a while. Anyway, I'm so pleased that I could use it in this fun challenge! That says passion alright! Beautiful!